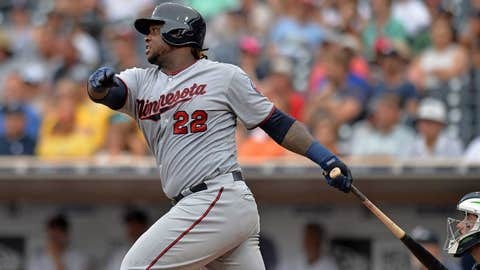 After missing the last three games due to a hamstring strain, third baseman Miguel Sano was placed on the 10-day disabled list Tuesday by the Minnesota Twins. To replace Sano on the 25-man roster, veteran infielder Gregorio Petit was summoned from Triple-A Rochester. To make room on the 40-man roster for Petit, pitcher Dietrich Enns was designated for assignment. Sano was placed on the DL retroactive to April 28. Sano has played 20 games for the Twins this season, hitting .213 (17-for-80) with four doubles, five home runs and 14 RBI. With Sano sidelined, the Twins had been playing with a short bench. No longer, with the 33-year-old Petit added. Petit has played in 170 major-league games for the A’s, Astros, Yankees and Angels. He last appeared in the majors in 2016 with Los Angeles, playing in a career-high 89 games. Petit is a lifetime .249/.291/.353 hitter with four home runs. Enns was acquired from the Yankees in a July trade last year and had been pitching for Rochester. In addition, the Twins announced that Rule 5 pick Tyler Kinley was returned to the Miami Marlins.